Recognize the gallant efforts of this organization with a celebratory awards dinner, silent auction and enjoy excellent entertainment by internationally-recognized jazz singer, Denise Thimes! Laminitis is a painful, inflammatory condition affecting horses. The laminae begin to deteriotate and this results in the destruction of the normal blood supply, causing severe pain to the horse. To compound this issue, a common result of laminitis, known as Founder, causes the coffin bone within the foot to "rotate" downward, putting pressure on the sole of the foot, sometimes even puncturing it. AHF is an all-volunteer, not-for-profit organization, located in the St. Louis, MO area. Our primary goal is to find a way to prevent laminitis and founder complications in horses. To that end, we donate funds to major researchers in the field of laminitis. 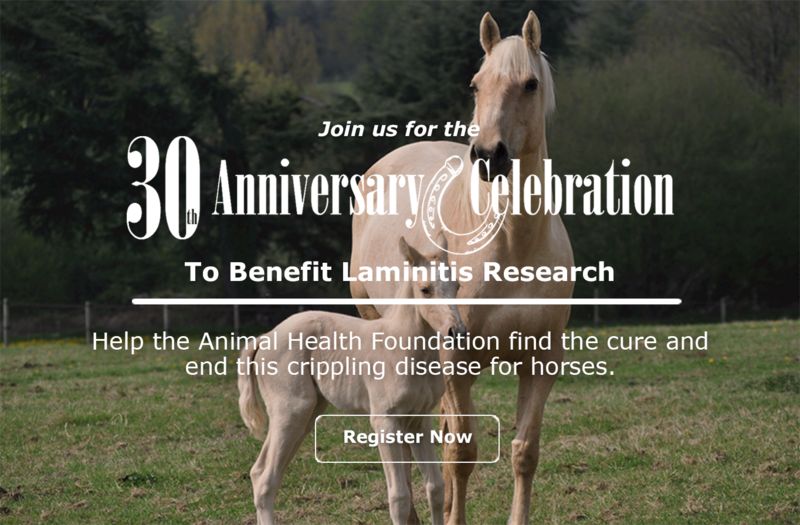 Because the organization’s board of directors personally pays all administrative costs, all other donations received from the public go directly to fund work on laminitis.